Columbus Art Gallery provides creative custom framing and archival mounting in New York, NY. Since 1993, our locally-owned business has offered competitive prices and excellent customer service to residential and commercial customers in need of preserving their priceless artwork and memorabilia. We have a new computerized machine that cuts mats of any size with efficiency, enabling us to complete your order sooner. We specialize in large frames. Whether you want to frame a large poster, canvas or an oversized photo, we will help you. 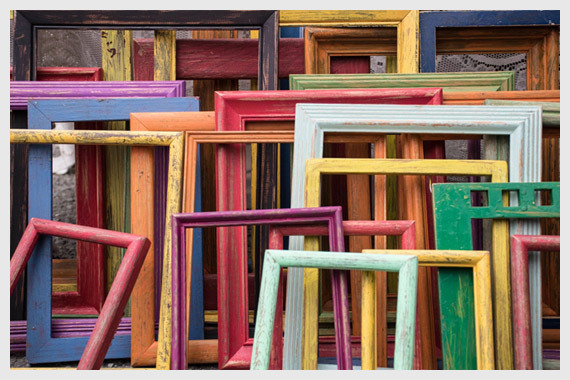 We have a large number of options for you for custom framing, and we are happy to consult with you on the best one based on your budget and preferences. We had a few pieces of art framed here and couldn't have been happier. The owner was great to deal with and after shopping around to a few other local stores, we chose to go with this because of the price and customer service. The final products look great and it was a such an easy process (including home delivery). Highly recommend. I brought much beloved art here to be framed and am thrilled by the results. Picking out the glass and wood was an efficient but not at all rushed process. The owner completely understood what was important to us and helped us figure out the right choices. A gem of the UWS! For the past four years, I've been toting around a beautiful scroll printed with a poem written in Chinese calligraphy by my grandma rolled up with a hair tie and push-pinning it to the wall. Let me repeat: a priceless, physical embodiment of my grandma's love attached tackily. As soon as I moved into my first truly adult apartment a few days ago, I scoured my new neighborhood for a trustworthy framing service. As soon as I stepped foot into the gallery, Sadiq was so helpful and friendly. I told him I wanted something relatively cheap (okay, maybe the word "cheapest" escaped my lips) and he gently chided me, saying the better term was "less expensive." We ended up settling on a standard black frame that actually complemented the color of the scroll. Let's just say: I'm really thrilled with how it turned out. The service couldn't have been better: Sadiq had the painting delivered and also included both a mount and additional nails in case I changed my mind on how to hang it. I have a few other prints with odd measurements that I plan to bring to Sadiq to work his magic. His store is filled top to bottom with frames of all kinds so I'm willing to bet any request is in good hands. This is my all-time favorite framer. He has done two beautiful framing jobs in a row. Impeccable! Beautiful. And a sweet person, too. I picked the shop because it came up on Yelp and had good reviews. My expectations were exceeded by the gracious and professional attention that Sediq provided. Now I have a go-to frame shop in the neighborhood. I can't recommend him highly enough. © 2018, Columbus Art Gallery, Inc. All Rights Reserved.